I was testing my site on my iPhone, and my header was…not pretty. I was using media queries and everything, but it was showing up all blown up and blurry. Okay. That’s fine, since it wasn’t parallaxing (that’s totally a word) on mobile anyway. didn’t fix it. Why. Why? INTERNET. YOU ARE NOT COMING THROUGH. So then I basically started trying every suggestion Google could throw at me, until – bliss! – this post on BrainHappy solved all my problems. Yay! The Internet came through after all. 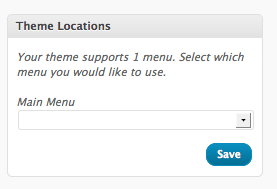 Oh, Theme Customizer with Live Preview, where have you been all my life? The WordPress 3.4 update gives us the power to preview, tweak, and test-drive a new theme without applying it to our live site. Want to learn more? Check out my tutorial on Peachpit.com! By now you already know that WordPress 3.4 has introduced a ton of great features (because you always perform core updates, right?). 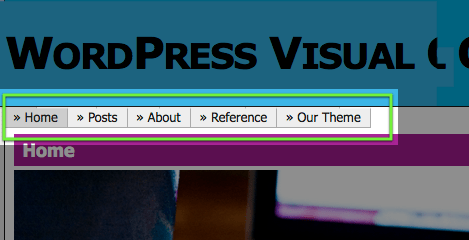 One of the coolest new features is support for Flexible Header Images. Remember in the dark ages of WordPress, when you had to crop your header image to fit in the predetermined header space? Now you get to decide how much header image you want, without having to touch any code. Awesome, right? And it’s easy to get it to work with your theme. Check out my article on Peachpit.com for a full tutorial! Read the full tutorial over on Peachpit! You need a set of navigation links, and stat. Luckily, they’re easy to add. Save and close your style.css file. Now refresh your blog page, and behold! Fancy older/newer links to ensure that your readers can browse your content with ease. What lovely navigation you have!